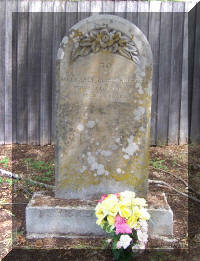 Margaret Alice Cocker was born on 11 May 1856 in Launceston, died on 8 Feb 1885 at age 28, and was buried in Perth General Cemetery. Margaret married George Thomas Alomes, son of Robert Charles Alomes and Jane Wood, on 19 Feb 1879 in Independent Church, Tamar St Launceston. 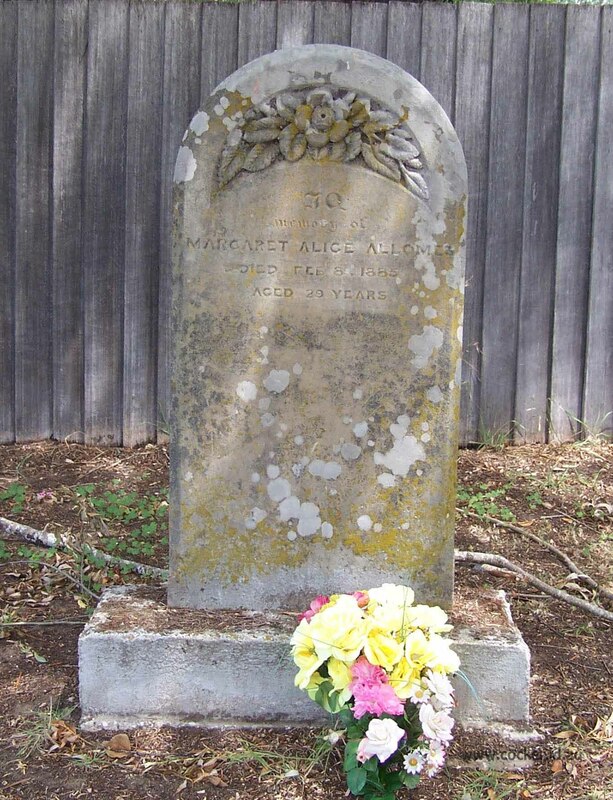 George was born on 27 Apr 1852 in Spring Bay, died on 20 Aug 1930 in Public Hospital, Launceston at age 78, and was buried on 22 Aug 1930 in Carr Villa Monumental Cemetery B13/116. George next married Ada Watson on 9 Jun 1859 at Rokeby, Tasmania. 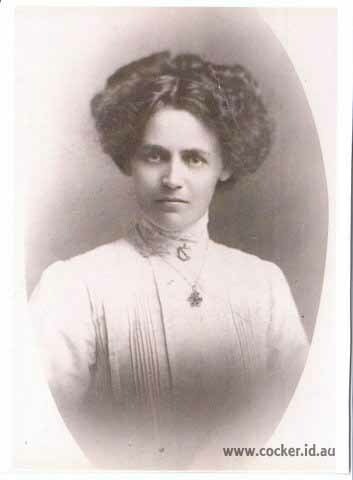 3-Lilly Florence Alomes was born on 5 Aug 1882 in Launceston and died on 9 Oct 1934 in Wanganui, New Zealand at age 52. 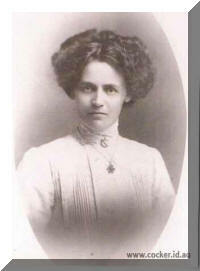 3-Maria May Alomes was born on 22 Jan 1885 in Longford, Tasmania and died on 23 Sep 1955 in Launceston at age 70. Maria married Arthur O'sign on 26 Aug 1911 in York St Baptist Church. Arthur was born in 1868 and died on 16 Feb 1934 at age 66. 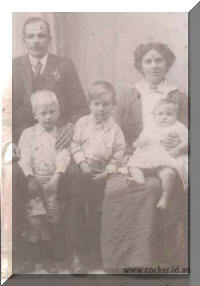 They had four children: George Arthur, Joseph Owen, Alfred Stanley and Lawrence Jack. 4-George Arthur O'sign was born on 5 Dec 1911 in Victoria Street, Launceston, Tasmania, died on 28 Feb 1981 at age 69, and was buried in George Town, Tasmania. George married Ella Sarah Geale on 4 Aug 1936. Ella was born in Oct 1919. 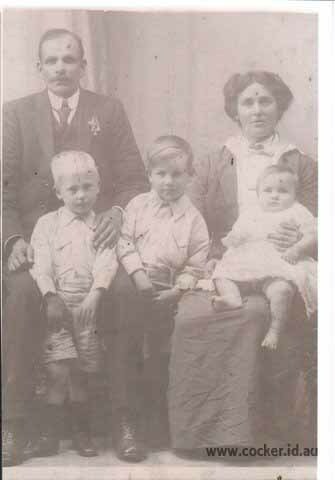 They had three children: George Roydon, Freda Merleen (Merle) and Margaret Daphne. 5-George Roydon O'sign was born on 19 Oct 1937. George married Pauline. They had three children: Colin, Phillip and David. 5-Freda Merleen (Merle) O'sign was born on 2 Jul 1939. 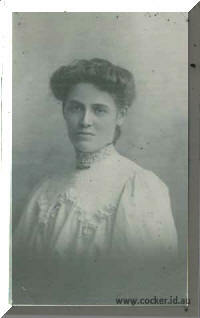 Freda married Gerald Wayne Sulzberger, son of Henry Edward Sulzberger and Elizabeth Catherine Atkinson. Gerald was born on 24 Aug 1936. They had three children: Peter Wayne, Ian George and Helen Loreen. 6-Peter Wayne Sulzberger was born on 8 Aug 1957. 6-Ian George Sulzberger was born on 13 Dec 1959. Ian married Helen in 1987. They had one son: Steven. 7-Steven Sulzberger was born on 6 Dec 1987. Ian next married Marie-Lou. They had one son: Adrian. 7-Adrian Sulzberger was born in Dec 2007. 6-Helen Loreen Sulzberger was born on 9 Jul 1960. Helen married Bill Wojcik on 27 Aug 1988. They had two children: Nicole Ann and Daniel Adam. 7-Nicole Ann Wojcik was born on 3 May 1989. 7-Daniel Adam Wojcik was born on 28 Nov 1990. Freda next married Ned Smith. 5-Margaret Daphne O'sign was born on 20 Jul 1941. Margaret married Brian Hine-Haycock. They had four children: Brett Anthony, Scott, Mark and Rick. 6-Mark Hine-Haycock. Mark married Shelley. They had two children: Keeley and Zac. 7-Keeley Hine-Haycock was born in Dec 2001. 7-Zac Hine-Haycock was born in Dec 2003. 6-Rick Hine-Haycock. Rick married someone. She had one son: (No Given Name). 4-Joseph Owen O'sign was born on 20 Apr 1913 in Charles Street, Launceston, Tasmania. 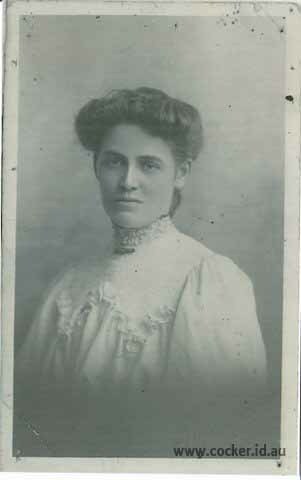 Joseph married Amy Jean Smith. Amy was born on 5 Nov 1920 and died on 25 Jan 2005 at age 84. They had three children: Beverley Jean, Dawn and Maureen Josephine. 5-Beverley Jean O'sign. Beverley married Kelvin Stuart Amos, son of Ernest William Amos and Gwendoline Clarke, in 1963. They had five children: Clinton Stuart, Nicole Maria, Simon Joseph, Trent Kelvin and Frank Kelvin. 6-Clinton Stuart Amos. Clinton married Terese Shepherd, daughter of Ken Shepherd and Shirley Tuck. They had one son: Samuel Joseph. 6-Nicole Maria Amos. Nicole married Lette. 6-Simon Joseph Amos. Simon married Cassandra. 6-Trent Kelvin Amos. Trent married Yvette Megan Barrett, daughter of Allan Barrett and Denise Watson, on 3 Feb 1996 in St. Patricks Catholic Church, Scottsdale. 5-Dawn O'sign. Dawn married Spencer Targett. They had two children: Steven and Christina. 5-Maureen Josephine O'sign was born on 10 Sep 1946. Maureen married Arthur Dilworth. They had one son: Jason. 4-Alfred Stanley O'sign was born on 30 Jul 1916 in 111 Cimitere Street, Launceston, Tasmania and died on 12 May 1970 at age 53. Alfred married Violet Florence Miller on 4 Nov 1939. Violet was born on 24 Apr 1919 and died on 25 Dec 1997 at age 78. They had one daughter: Vonnie Norma. 5-Vonnie Norma O'sign was born on 20 Jul 1940. Another name for Vonnie is Bonnie. Vonnie married James Edward Theodore Claxton on 20 Apr 1963. James was born on 4 Mar 1937. They had two children: Scott James and Sandra Louise. 6-Scott James Claxton. Scott married and had four children. 6-Sandra Louise Claxton was born on 1 Mar 1971. Sandra married Peter Jamieson Rogers on 3 May 1997. Peter was born on 21 Nov 1964. They had two children: Nicola Erin and Zoe Imogen. 7-Nicola Erin Rogers was born on 29 Jul 2001. 7-Zoe Imogen Rogers was born on 9 Mar 2005.